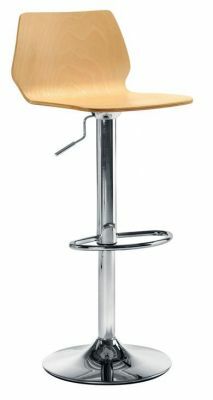 Height adjustable bar stool with a plywood seat shell in Beech or Walnut. Height adjustable Chrome frame with integral foot-ring. In stock for a free next day delivery. Comes with a five year factory guarantee.